Welcome to the Combined Counties League web pages. Please note that these pages are unofficial, any comments expressed here are not necessarily those of the League. The webmaster of these pages has no connection in any shape or form with the Combined Counties league. Clubs that have left the league: AC London, Bedfont Sports, Farleigh Rovers, North Greenford United, Staines Lammas, South Park Reserves, Westfield and Worcester Park. Clubs that have joined: Premier Division: Southall, Badshot Lea and Raynes Park Vale promoted from Division One. New to Division One: British Airways, Dorking Wanderers Reserves, Sandhurst Town and Tooting Bec. Premier Division Champions - Westfield, Division 1 Champions - Worcester Park, Premier Challenge Cup Winners - Knaphill, Division 1 Challenge Cup Winners - Staines Lammas, Grant-McLellan Youth Cup Cup Winners - Camberley Town U18. 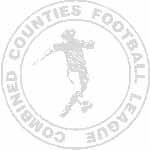 The Combined Counties Football League is based in Southern England and includes sides from Middlesex, Surrey, Berkshire, Oxon, Sussex and Hampshire. All clubs are of senior status. The Combined Counties league is part of the non-league pyramid. The league accept clubs from a number of sources including RYMAN, Spartan, Surrey Premier and Middlesex County leagues. Over the years the league has been known as the DAN AIR League, the PARASOL League, the Courage League, the Seagrave Haulage League and the Cherry Red Records Combined Counties League. Email me if you want to include your link on this page.